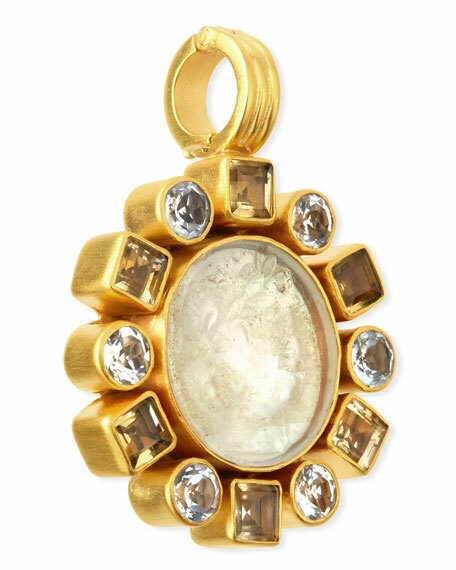 Dina Mackney mixed stone pendant. 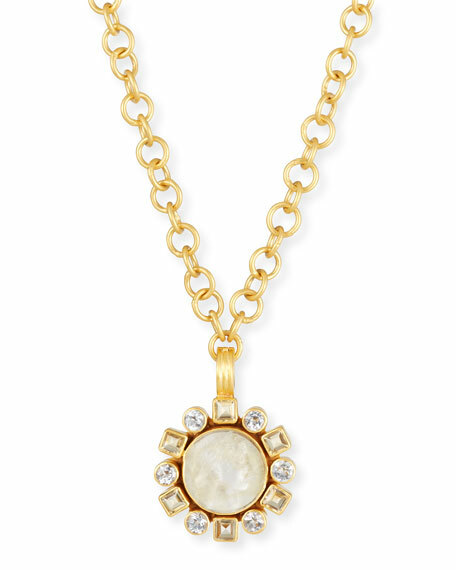 Bezel-set round and square stones. 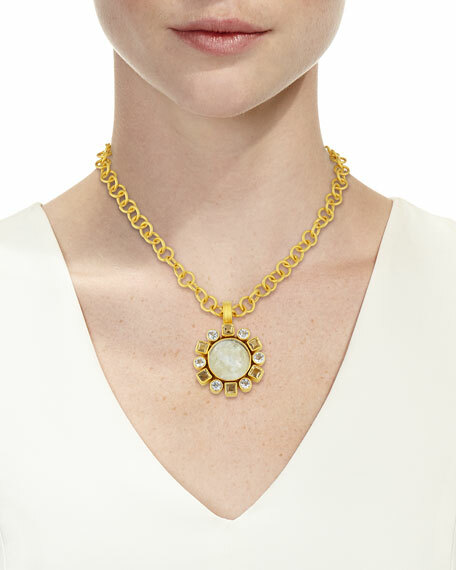 Citrine, topaz and Italian glass. Approx. 1.5"L x 1.5"W drop. 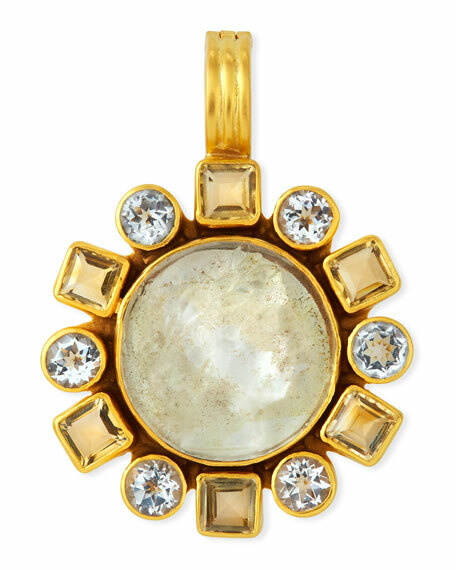 Armenta pendant from the New World Collection. Polished and oxidized sterling silver hardware. Marquise silhouettes with crivelli stations. Champagne diamonds and pav?? crivelli. 0.20 total diamond carat weight. Made in USA.